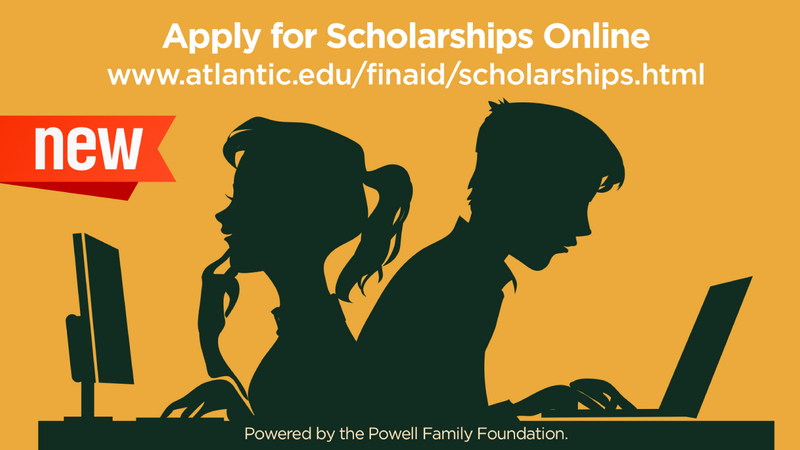 A wide range of scholarships are available through Atlantic Cape. Scholarships are available for new and current students. Atlantic Cape receives generous donations, and also raises funds through our Foundation. Incoming students should apply early and if you are a high school student, adding our scholarship application to your list of things to do, along with your college application and Financial FAFSA application, is extremely important. Do not let popular misconceptions or scholarship myths scare you out of applying for awards. Landing an award is possible, especially if you meet specific criteria linked to your application. If you are already a student, make sure to apply in November through February. We understand the need for scholarships to help with college costs throughout your time here, and we have many scholarships available to help you with tuition, fees, and books. Browse through our site to see if you meet the criteria for individual scholarships. Here is a list of currently available scholarships. Scholarships are distributed to eligible applicants without regard to race, religion, age, physical handicap or national origin. Phi Theta Kappa scholarships are available. View the instructions at the Phi Theta Kappa scholarships page. More questions? You can find more answers to basic questions about our scholarships. Just click on Scholarship Q&A page. APPLY NOW ONLINE Applying is Easy! Will you begin attending for the upcoming Spring 2019 (beginning January 22) or Fall semester 2019 (beginning in September)? If yes, you are a new student. Have you attended and earned credits at Atlantic Cape prior to January 2019? If yes, you are a current or returning student. Students must use their Buccaneer email in order to submit an application. Don’t remember your Buccaneer email? Buccaneer email page. Scholarships are available to help with tuition, fees and books. FAFSA must be completed to be considered for need based awards but is not required for non-need based awards. Once your application is complete, Award Spring will automatically match you to scholarship opportunities. You only have to apply once. Award Spring saves your progress; the application does not have to be completed all at once. If you still have questions after going to our Q & A, please contact the Financial Aid Office at (609) 343-5082 or (609) 625-1111, ext. 5082, or email Financial Aid. In Cape May County, call (609) 463-4774, ext. 5082. OceanFirst Bank is offering scholarships to Atlantic Cape Community College students! Read the scholarship announcement from OceanFirst. Download and complete the OceanFirst scholarship application. Visit www.oceanfirstfdn.org to learn more about the OceanFirst Foundation. OceanFirst scholarship applications are due May 1, 2019, so get started now!